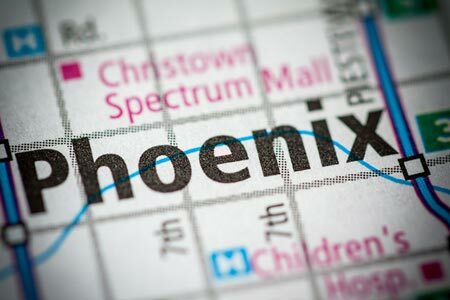 Phoenix, Arizona—Santiago Maya Cruz, age 42, died of injuries he sustained when the taxi he was driving was struck by another car and rolled last Tuesday. Blaze Franklin, age 26, was driving east on Thomas Road shortly before midnight when he turned left onto 57th Avenue in front of the taxi Mr. Cruz was driving. The impact caused the taxi to roll onto its roof. Phoenix Police accident investigators have learned the suspect has a warrant for at least one previous DUI. Franklin was driving on a suspended license. A passenger in the taxi and Franklin were hospitalized with non-life-threatening injuries. Franklin was released from the hospital two days later then immediately booked into jail. He is charged with aggravated assault and driving while impaired. The Maricopa County Attorney’s office may increase the charges now that Mr. Cruz has died. Mr. Cruz leaves behind his wife, four daughters and a newborn grandson. We extend our condolences to the family and friends over this tragic loss.